If things go to plan, 2018 could be a vintage year for Johnny Jewel. There's a new Chromatics album in the pipeline, the album fans of the synthpop outfit never thought they'd hear. The story goes that Jewel destroyed the masters after a near death experience. When ‘Black Walls’ and ‘Blue Girl’ appeared earlier this year, a fervour grew as to whether the fabled Dear Tommy was about to be released. So far, the new Chromatics songs are sublime and Dear Tommy looks to be worth the wait, whether or not these are the original or re-recorded versions will remain a mystery. 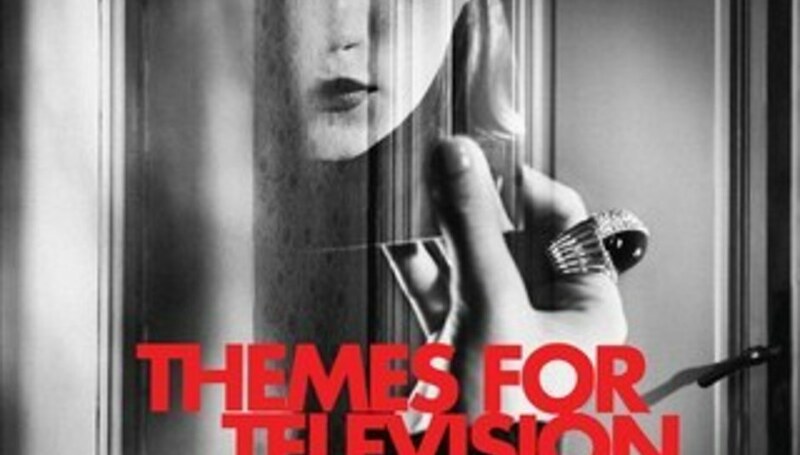 But first comes the release of Themes from Television. Like all the best things, there is a slight deception involved. This is an album of missing cuts from his last album Windswept, some of which was used in the recent series of Twin Peaks. Jewel created over six hours of music, from what he thought the new Twin Peaks would look, feel and sound like, then culled that to 21 cuts. As the album undulates and ripples, Themes from Television is roughly broken down into three types of songs. Classic Angelo Badalamenti Twin Peaks vibes. Vangelis-esque keyboard workouts and understated synthpop brilliance. Themes from Television opens with ‘Requiem’ and ‘Windswept (Minimal)’, which contain massive slabs of eerie synths that set the scene perfectly. But it isn’t until the third track, ‘Loveless’, where the album begins proper. Morose drums skitter, all the while broody electronics gentle twirl ominous sounding chimes. There is something immensely pleasurable about ‘Loveless’, but at the same time, a feeling of anxiety sweeps over you. You aren't sure why. This is the point, and power, of Themes from Television. It conjures up the way you felt when you watched the original Twin Peaks. You were captivated by something macabre and otherworldly, yet you could imagine it happening in your town. As ‘Loveless’ meanders the image of overhead traffic lights gently swinging in the breeze at night comes to mind, and this is when Jewel has you. ‘Saturday (Evening)’ is a flawless piece of understated pop. The delicate delivery of Desire’s vocals add an extra texture. The use of organic sound is a perfect juxtaposition to the opening salvo. It also hints to Jewel and Desire’s day jobs in the Chromatics. ‘Breathless’ follows on the synthpop majesty, evoking the original theme from Twin Peaks, with ethereal vocals submerged in the luscious synth work. ‘Red Curtains’ is another stand out moment. Layers of Vangelis-esque keyboards create a feeling of movement and flux, like the rippling of red velvet curtains in the Black Lodge. As the tension mounts, a warming feeling of beauty rises, until a luscious outro kicks in. This track typifies the album. It shows that Jewel not only enjoys making music like this but understands how and why it works, and what to do to get a response from the listener. With Themes from Television, Jewel has crated 21 songs that perfectly evoke and spirit of Twin Peaks, without actually being about Twin Peaks. The best way to experience it is while travelling. As the music mutates and skews from menacing jazz and full on keyboard workouts to its delicate synthpop you start to look at your fellow passengers differently. Does the man with the suitcase look like the secret to the universe is in there, are the kids going to school plotting something sinister behind those whispered voices and giggles and why does the lady with the log on her lap keep nodding at you and talking about owls. There are moments of abject terror and suspense that perfectly sum up the show, that are flawlessly executed and deliver such a rush that you are swept along with them, and only after do you question what just happened. Like all the best things in life, this album is not what it initially seems.